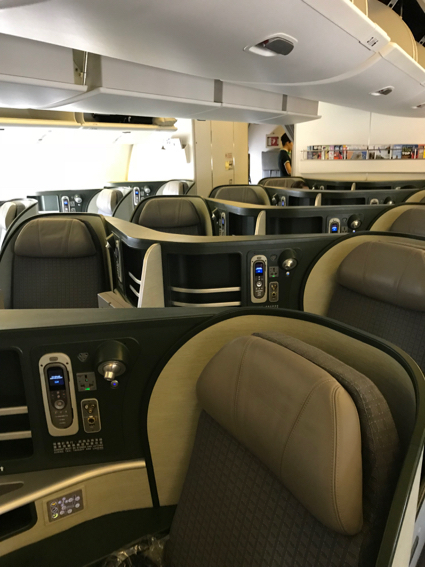 The great night flight to Taipei from SFO | Who Da Thunk? Truth be told, the Adventurers had some concern how that would stay wake to take a 12:20 am flight to Taipei. Neither had ever boarded a flight that took off that late. They were in good company. The United Club for long haul flights was jam packed, with lots of men enjoying the free booze, so it was the rowdiest Club that had every sat in. The boarding gates were jammed, too, right next to an equally packed plane headed for Singapore. But once on board, they found themselves in a tranquil oasis. 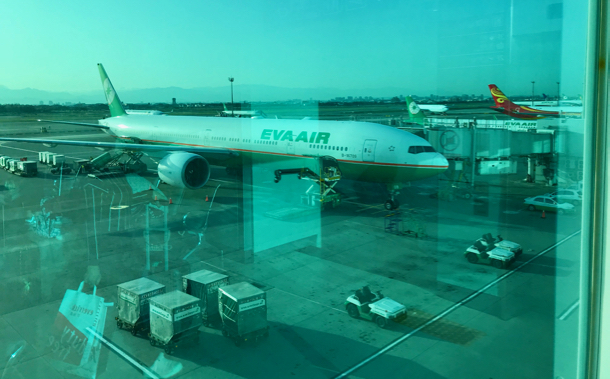 Like other airlines, EVA no longer offers first class, but has an expanded business class, 11 rows with 44 individual seats. It’s like no one is around you. The food was real food and not boring. Premium spirits. Staff who actually was gracious and polite. Truth be told, they felt they were in an altered universe. This entry was posted in Thailand adventure and tagged EVA. Bookmark the permalink.